What is Tetralysal (Lymecycline) used for? 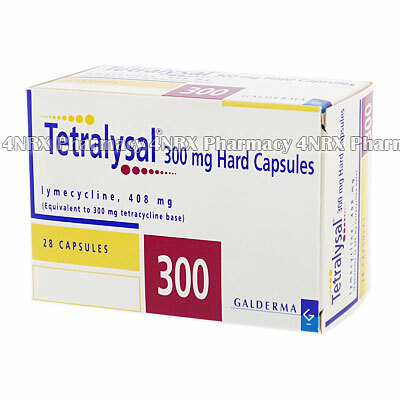 Tetralysal (Lymecycline) is a tetracycline antibiotic prescribed to treat a wide variety of bacterial infections. The medication operates by preventing the reproduction of bacteria cells allowing the immune system to destroy it naturally. This makes it useful for treating conditions such as urinary tract infections, pneumonia, acne, bladder infections, or Chlamydia. Your doctor may also prescribe it to treat other conditions that are not listed here. How should I use Tetralysal (Lymecycline)? Follow your doctor`s instructions while using Tetralysal (Lymecycline) to get the most effective results from treatment. It is typically administered two or three times each day for a cycle of medication lasting one or two weeks. Do not stop taking these doses prior to the end of the cycle, even if your symptoms are gone, as the infection may not be destroyed and can return stronger or more resistant to treatment. It is also important to never split or open the capsules as this may destroy or change the effects of the contents. If you have any questions about using the medicine, ask your doctor or pharmacist to ensure the correct application. What are the side effects of Tetralysal (Lymecycline)? Tell your doctor immediately if any symptoms become worrying or if you encounter any more serious side effects such as severe skin rash, inflammation of the bowel, liver inflammation, severe muscle pain, or discoloured stools. These conditions may require medical attention or adjustments to your treatment to prevent further problems from occurring. 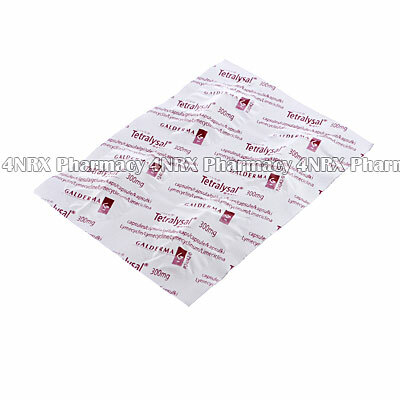 Strictly use Tetralysal (Lymecycline) as prescribed and follow all instructions provided by your doctor. Safe, suitable, and optimum dosage can vary and is dependent on the patient`s health and medical history, as well as the condition you are treating. Tetralysal (Lymecycline) may not be safe or suitable for all patients. Always ensure your doctor is informed if you are pregnant or breastfeeding, using any other type of medication (including non-prescription medicine, vitamins, and supplements), as well as if you have any allergies, other illnesses, or pre-existing medication conditions.